We have created two styles of beautiful greeting cards. 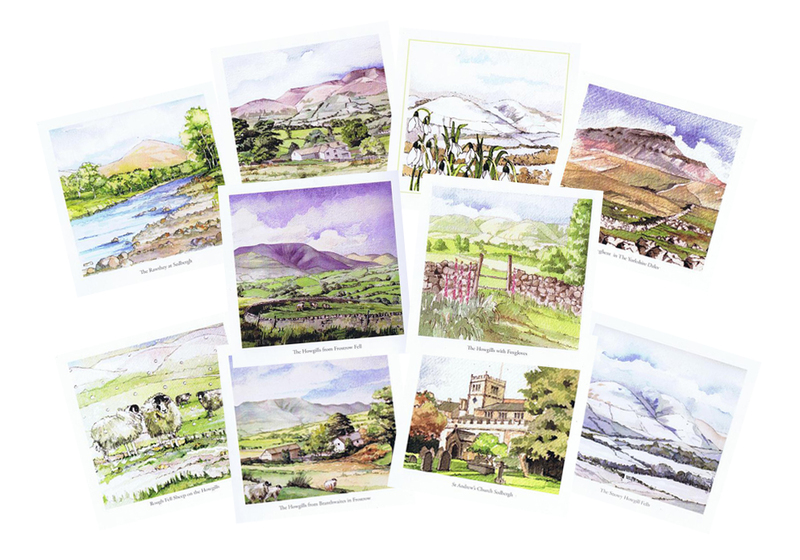 Both our watercolour cards, painted by a local artist, and our Sedbergh Seasons range are inspired by the incredible views around Sedbergh, Cumbria and further afield. If you are interested in stocking any of our greeting cards, please contact us for more information. If any person would like to purchase cards in large quantities, please contact us for more information. If there are any watercolour images from the prints that you would like to be greeting cards, please contact us and we will consider your request. Copyright Fell & Dale 2012. All rights reserved.